Located in the beautiful, lush, quiet area of Pilerne along a road lined with old Portuguese houses. The house is a part of a small gated community - 'Casa Pilerne'. A duplex with two bedrooms, drawing, dining, kitchen and a small garden at the front, the back opening out into a swimming pool. 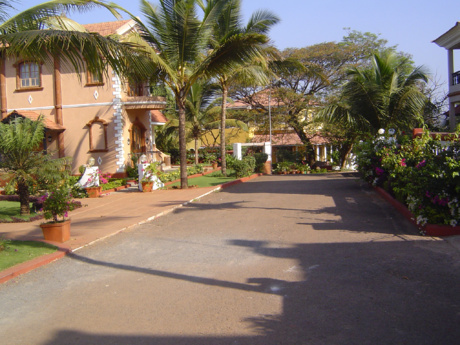 The advantage is its proximity to the best of what North Goa has to offer. An 8-15 minute drive takes you to popular spots of the North like Baga, Candolim / Calangute beach, Sinquerim (Taj Holiday Village, Aguada), Panjim etc. 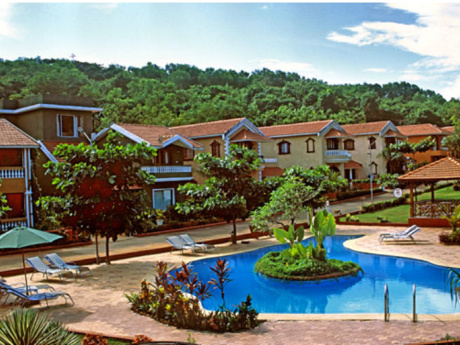 Yet it offers you a cozy home nestled in greenery at a close distance away from it all. It is fully equipped with TV, washing machine, refrigerator; hot/cold water and all other necessities. It can accommodate upto 4 adults and 2/3 children. Our help will do the daily cleaning and make breakfast if required. Meals can also be prepared depending on her availability. We are a couple with a 4 year old son. Love to travel & discover new places and cuisines. 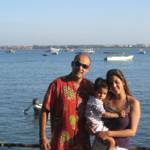 My husband is a hospitality consultant setting up hotels and restaurants and I am an IT professional. 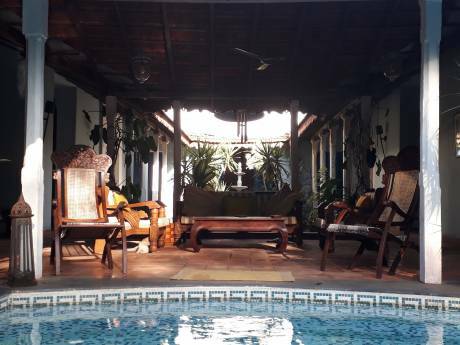 We love doing up spaces and our holiday home in Goa reflects this. Its a cosy and comfortable pad, perfect for a family vacation or even if one wants to spend time alone in a quiet, peaceful & safe space.